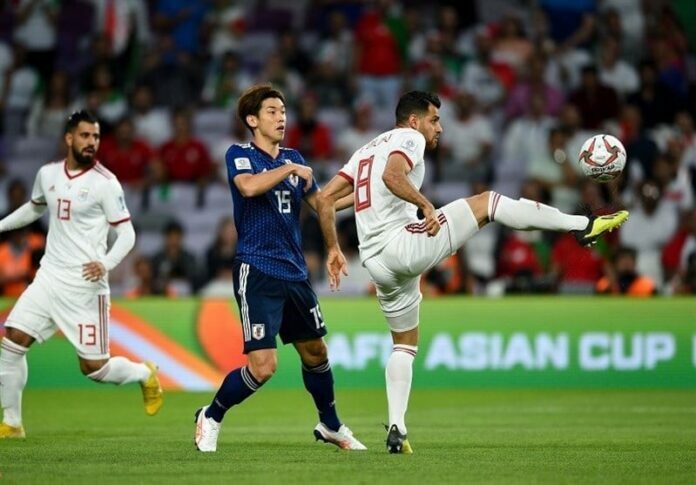 Title-contender Japan national football team defeated Iran 3-0 to reach the 2019 AFC Asian Cup on Monday, destroying hopes among Iranians of winning the cup after a 43-year break. Forward Yuya Osako opened the scoring for the Japanese team in the 56th minute. He converted from the penalty spot 11 minutes later after VAR confirmed Iran defender Morteza Pouraliganji’s handball in the area. Genki Haraguchi then scored in stoppage time to complete a rout which had been wholly unexpected after Japan’s unimpressive performances previously in the competition, Tasnim News Agency reported. Iran has won the AFC Asian Cup three times so far in 1968, 1972 and 1976 but its triumph took place 43 years ago. Carlos Queiroz, the former Real Madrid coach who has been in charge of Iran since 2011, came close to earning Iran its first title since 1976. Speaking after the game, Queiroz said Japan deserved to book a place in the 2019 AFC Asian Cup final. “The most important thing for me is to say I am so proud and this venture, this journey, of the Iranian players has been fantastic,” said Queiroz. “They deserve to be in the final to be honest, but I think the most simple thing is to say, copying the famous song” ‘And now the end is here.’ And I’m very happy and very proud because I did it my way and it’s time to show my gratitude to the Iranian fans having coached these players and this team for eight years,” the Portuguese said. Japan coach Hajime Moriyasu hailed his team’s fighting spirit after the game. “Iran had earned great results in the past and we knew the team is going to be a very tough opponent, but the players had prepared well and they showed great fighting spirit,” said Moriyasu, who also led Japan to the final of the Asian Games in Indonesia last summer. “They didn’t forget to have the mindset of challengers and that gave us the win against Iran. The atmosphere was like an away game for us, but there were many Japanese supporters and many people back home supporting us too. I’m happy the players could show the spirit to fight and to deliver a good result,” he added. “I don’t think we have changed compared to how we have played in the previous matches, but what our players did against Iran was, by respecting and knowing our opponent, they tried to perform to their best individually and as a team and play for the result,” said Moriyasu. Japan will play for a record fifth Asian Cup title after reaching the final by defeating the Iranian national football team, also known as Team Melli. The host United Arab Emirates and Qatar meet in the other semifinal on Tuesday in Abu Dhabi for a berth in Friday’s final.